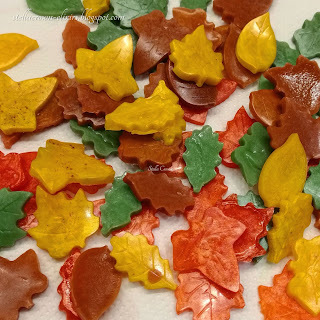 Because of a challenge we are running in our facebook group “Soap of the Wise", I prepared for you a Fall Leaves m&p soap tutorial. Oh! wait! Have I ever mentioned anything about this group?? 👀 hmm ... probably not! Let's do the introductions quickly! So the group of the wise is a group for soap makers, professionals and hobbyists which are clearly making soap. Okay, sometimes we're talking about creams and lotions too. In our fellowship we deal with melt and pour soap, cp or hp soap, shampoos, conditioners, bubble baths, bath bombs, scrubs, and anything we use generally to bring a professional spa at home! Our group is bilingual, we speak Greek and English, and if you want to be a member you just need to read carefully our rules and answer CORRECTLY the 3 questions I have asked. Don’t wait and join us, you’ll have fun with us! 2 g | 0.07 oz apple & cinnamon f.o. 6 g | 0.21 oz apple & cinnamon f.o. 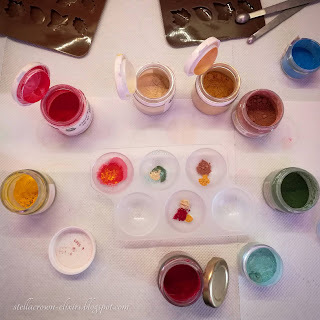 Before you start making the soap, sanitise tools, containers and work surface. Wear your gloves. 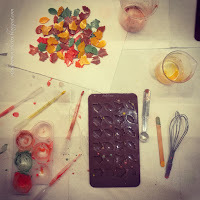 If you are a beginner, it will be helpful for you to read here, how we make soap, using the melt and pour method. for the leaves: pour the soap into a 150 ml beaker and melt with the bain marie method (hot water bath). Once the soap is completely melted, pour the soap into a painting palette or another utensil to mix the micas. Add the colours you chose for our leaves. 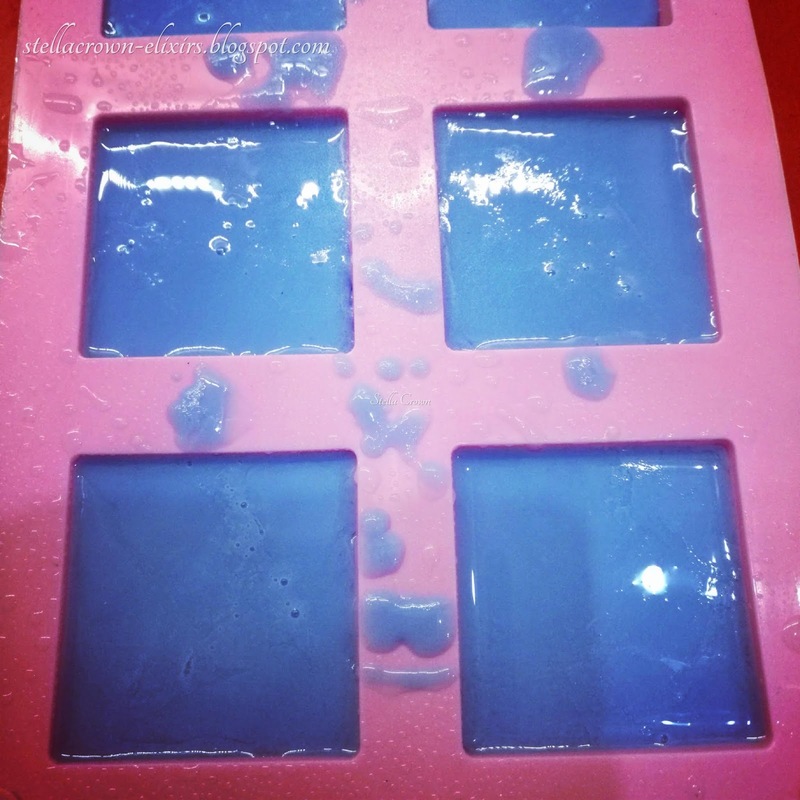 Spray your mold with alcohol, stir the soap and pour into the mold using a pipette. Spray with alcohol again to remove the bubbles. 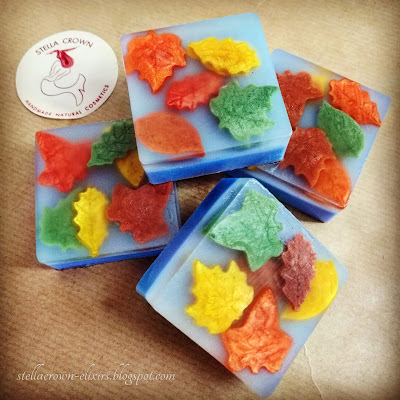 Allow the soap to cool and harden. Unmold the soapy leaves. 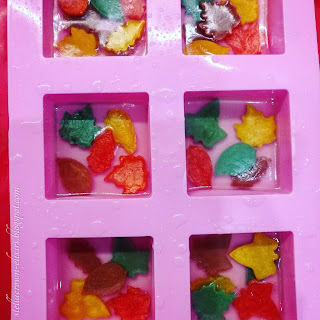 for the 1st layer: pour the soap cubes in a 150 ml beaker (in the same you used earlier), melt it with the bain marie method and withdraw the soap when it is completely melted. 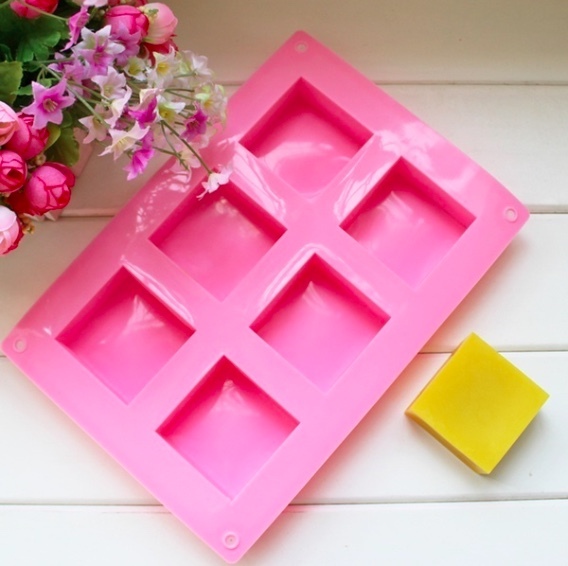 Check the temperature of your soap and when it reaches at 60 degrees Celsius, add the shea butter and the fragrance oil. Spritz with alcohol into the mold. Pour a very thin layer of soap into the mold. Spray with alcohol to remove the bubbles and wait 5 – 10 minutes for the layer to form a thick skin. 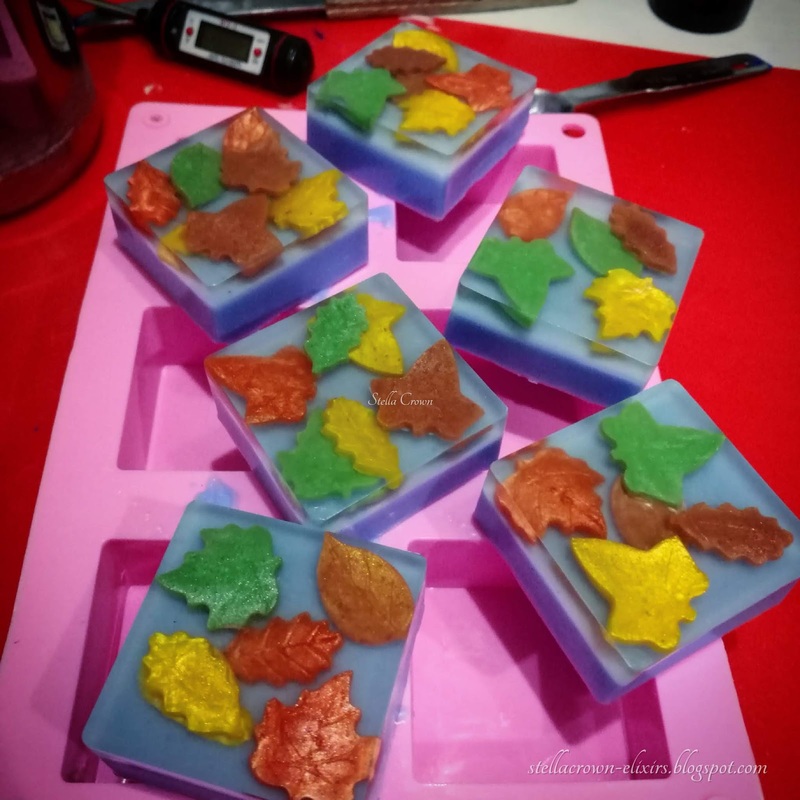 Spray the soap with isopropyl alcohol again and place the leaves on the clear soap. Repeat the process if you wish- it depends on how many leaves you’ve prepared. for the 2nd layer: follow the same procedure to melt the soap. Withdraw the soap from the water bath. Check the temperature; in 60 degrees add the mica, the shea butter and the fragrance oil. Stir carefully. Spray with isopropyl alcohol liberally into the mold to make sure that the 2 layers will stick together. Pour now the soap and spray again with the alcohol. Allow the soap to cool and harden. Unmold the soap and wrap it with cling film. *** Stir your mica with vegetable glycerin and then add it to your soap. This way the colour is dispersed evenly.